I have been hitting my head against the keyboard for too long and searching the interwebs like a wild woman looking for O inspiration and it's just not happening! 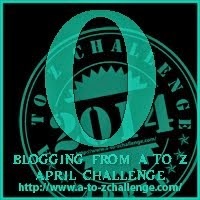 If you're taking part in this months A to Z April Blogging Challenge - how have you been finding it? I'm not going to lie, it's been difficult! When I set out on this challenge I really thought it would be a whole lot easier but it turns out, it's really hard to come up with something for every letter of the alphabet! Hence today's somewhat nonsense post! I tried to plan out what I'd do for every letter of the alphabet...on April 1st. Not the best idea I've ever had, and I've still got letters on the near horizon with little to no ideas for what they're going to be about! Uh oh. Next time I want to start planning and working on the posts at least a month in advance! The A to Z posts have been so time consuming my regular blog posts have just had to be pushed back to later dates, probably post April for most of those ideas now! You all know how much I love scheduling blog posts and at the beginning of the month I was around a week in hand, now, not so much. 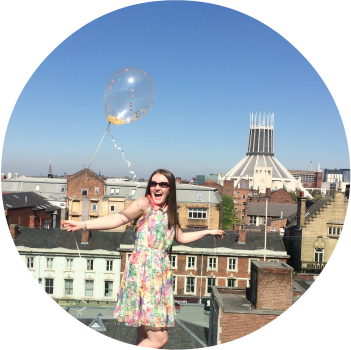 Bloggers have to go out into the real world, work a day job, socialise and sleep too! I'm about 2 days or so ahead of myself right now but with a week abroad coming up I really need to find some time to knuckle down and crack out a few posts before I fly! As I mentioned above, I'm going away next week for 5 days so I need to get those days posts done and scheduled because I won't be taking my laptop. I've been working so much lately and then blogging during whatever free time I get so I want to disconnect as much as possible whilst I'm away. Is this something full time bloggers are able to do? Travelling during a challenge month probably isn't the best idea I've ever had but oh well, we'll see how it goes! 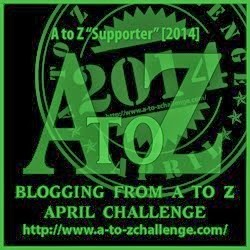 If you're currently taking part in the A to Z April challenge or have done in the past, what are your thoughts on it? how are you holding up or are you ready to throw in the towel? Enjoy your time away! I totally do not blame you for wanting to take time to disconnect! Thanks lovely! Is it weird that I'm a little worried about disconnecting? I feel like my blog will curl up and die if I'm not here haha! Oh dear!